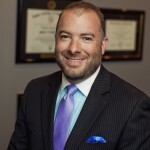 Dr. Nick Silveri graduated from the University of Texas-San Antonio in 2000 with a bachelor degree in biology, and completed masters work in biology at University of Illinois in Springfield. He he received his Doctor of Chiropractic degree in 2006. Dr. Nick was born in Springfield, grew up in Austin, Texas and returned to Springfield to start his first practice. The clinical team in Springfield under Dr. Nick are able to offer a wide range of evidence based, effective treatments. The philosophy is simple. Put the patient first and help guide them to better health. The Springfield clinical team have extensive experience treating injuries after motor vehicle and work related accidents.